This is after Bebe Cool alleged that Chameleone doesn’t have the required qualifications to contest for the Kampala Lord Mayorship in 2021. “Chameleone has the necessary documents and education never ends. He can still go ahead and attain more education because 2021 is two years ahead of us. 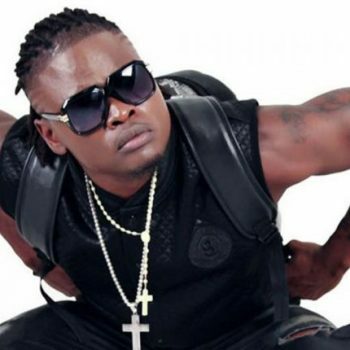 Pallaso advised Bebe Cool to mind his business, and raise his children instead of getting involved in issues that do not concern him. “I really don’t like attacking people but Bebe amuses me. He is so selfish, he only thinks of himself. He has never brought any artiste and supported them, he always fights them when they gain recognition. He brought the Kiwoko Boys to fight fellow artists. He then introduced Rema and when she got married to Eddy Kenzo, it hurt him yet he has his own woman whom he has never wedded officially. He talks so much about me and I wonder why. Your understanding is not the same as mine, your age is not the same as mine. My music is better than what you sing. For the few years I’ve been around I’ve done so many things. Even the house you have was built for you, even when you fall sick, people pay for your medical bills. We might end up sponsoring his wedding too and it’s what he is waiting for. Bebe Cool, the world does not revolve around you. Raise and educate your kids so that their reasoning can be different from yours.” a pissed off Pallaso ranted.